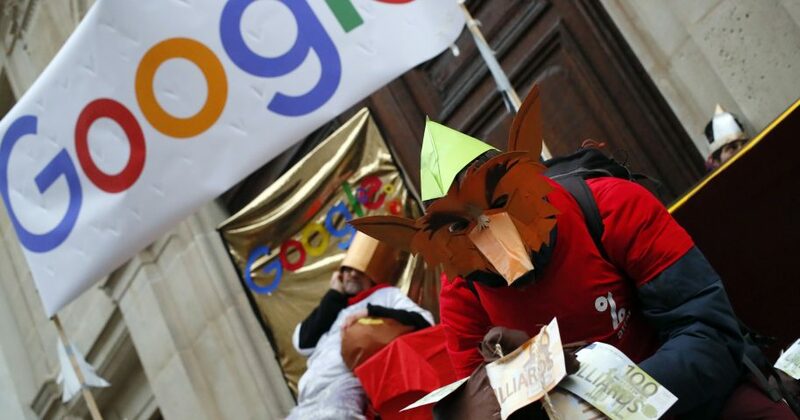 PARIS (AP) — Activists from an anti-globalization group have staged a protest at Google’s Paris headquarters to criticize the company for paying little tax. Attac members gathered at Google’s offices Thursday and set up a pulley to pass bags of fake money between the firm’s premises and a public finance center across the street. According to Attac, Google’s French subsidiary reported revenue of 325 million euros ($371 million) in 2017 and paid 14 million euros ($16 million) in income tax. The group says Google France shifts more than 85 percent of its French revenue to countries with more favorable tax regimes. So-called profit-shifting is technically legal in the EU, where foreign companies have their regional base in one country where they negotiate favorable tax terms. France’s finance minister, Bruno Le Maire, this month announced plans to tax multinational technology companies, like Google, that have revenues of at least 750 million euros worldwide and 25 million euros in France.